The Deloitte Greenhouse is an advanced, immersive environment designed to accelerate breakthroughs. It combines behavioral methods, analytics, technology and experienced facilitation to create an experience that can bring about extraordinary results for clients. The Deloitte Greenhouse is designed as a place for cultivation – of ideas, of relationships and of opportunities. The Deloitte Greenhouse integrates a suite of unique client and internal offerings into one dynamic space. The Greenhouse Lab Offerings types include: Innovation, Insight, Leadership, Strategy, Relationship, Transformation, Transition, and Custom Labs. The Deloitte Greenhouses provide an environment that fosters creativity with approaches and expertise to help clients innovate across a range of issues—leadership, relationships, strategies— and provides a very powerful experience for both external and internal teams. Clients who engage with these Greenhouses will uncover highly relevant insights and develop more successful approaches to complex challenges. Developing deep knowledge of lab offerings and custom design approaches, guiding design and delivery tailored to clients; focusing on a high-quality and consistent experiences at a Greenhouse location for all levels of lab visitors. Demonstrating strong facilitation and presentation skills, including the ability to understand and address client challenges and draw out key talking points; selecting speaking style and approach best suited for the situation and audience. Managing the coordination and execution of Greenhouse Experience design, lab day, post work and ongoing activities, which includes leading pre-planning calls; driving and customizing lab design and planning to align with account team / client needs; working with client teams to plan for and dry-run impactful client sessions by tailoring the Greenhouse Experience, recommending demonstrations to be shown, tailoring demo stories where relevant, and helping to formulate the agenda. Working with business and external partners as needed to construct and orchestrate custom Labs. Bringing wide-ranging experience, professional concepts, and functional area / Deloitte objectives to resolve complex issues in creative ways; bringing personal subject matter expertise to play where relevant. Supporting point of contact for Greenhouse Experience requests. The point of contact represents Greenhouse services and balances requests across multiple stakeholders. Promoting lab sessions when interacting with account teams in support of the team’s goals. Reviewing and supporting site Greenhouse communications, as needed. Working collaboratively with the local site team and U.S. team members, promoting teamwork and high quality deliverables. Contributing to the overall Greenhouse program through new Lab offerings, tools, processes, etc. Leading / supporting special projects on either the local site or U.S. Greenhouse teams. The Deloitte Greenhouse Experience team sits within Deloitte’s Client Experience (CE) organization, which supports LCSPs and account teams in helping key client leaders, their teams, and organizations address their most pressing challenges. The Greenhouse Manager will be responsible for supporting the Greenhouse Leads and team with facilitation of lab requests in the Greenhouse, and where applicable, global lab sessions and/or lab sessions at other Greenhouse locations. The Greenhouse Manager will be play a core support role for the Deloitte Greenhouse and the Greenhouse Experiences. The ideal candidate will be a high-performing Manager with strong project management skills, great PowerPoint skills and a passion for creating innovative, dynamic, unique experiences for our clients and account teams. A proactive and hard-working attitude will help the person excel in this role. 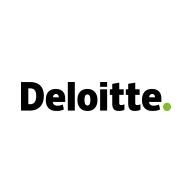 Minimum of 5 years direct experience serving Deloitte clients, delivering services through a function. Must be based full time in New York, Chicago, Washington, DC, Westlake, TX or NYC, with estimated up to 25% travel. As used in this posting, “Deloitte” means Deloitte Services LP, a subsidiary of Deloitte LLP. Please see www.deloitte.com/us/about for a detailed description of the legal structure of Deloitte LLP and its subsidiaries.